Part of my job as a documentary/art wedding photographer is capturing the unexpected and spontaneous moments that happen at every wedding. And being in the right place also helps! 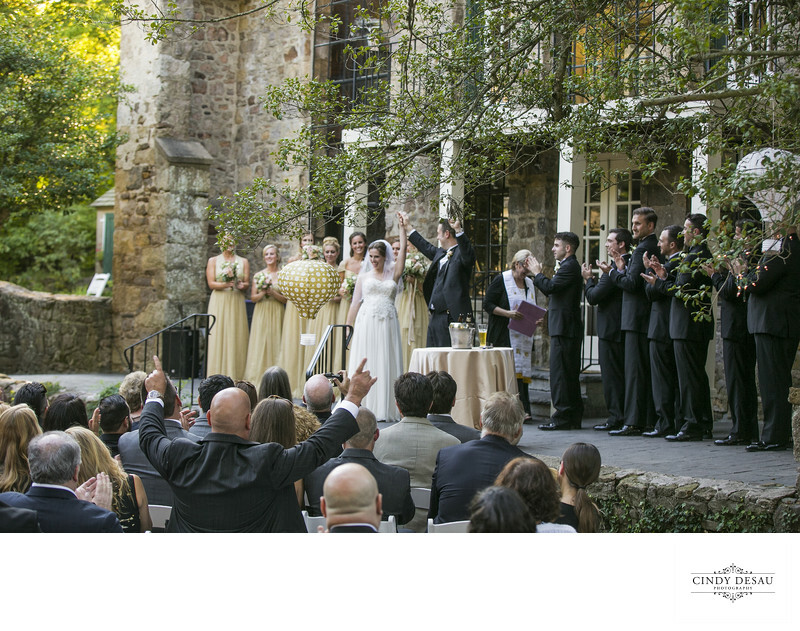 Both talents are honed by experience and expertise of documenting countless weddings. In this wedding photo, as the groom raises his arm and his bride’s in jubilation, his relative also couldn’t contain himself and stands, cheering. I framed the photo to keep the cheering bridal party and guests, and a wonderful memory is created.